Why Seafood Is Best For Non-Vegetarians? Non-vegetarian food has so many varieties (different cuisines) and the source of meat change drastically as we move across the globe. In some cultures, red meat has a prominent place on the menu, while in other cultures; seafood is the only meat source. Various researchers have clearly suggested that seafood is the best form of meat that can be consumed by humans. It has several vital nutrients that are essential for human body. If fresh seafood is available in your locality, I'd highly recommend dumping read meat in favor of this delicious and healthy food. Prawns, shrimps, salmon, and cod are some of the best options for you when it comes to relishing seafood. So, let's see its advantage. Very low saturated fat - Generally, almost every seafood variety contains negligible saturated fat, which is the major source of fat accumulation in veins and arteries. This reduces the chances of stroke and hemorrhage significantly. Since the intake of saturated fat is minimal during seafood consumption, the fat reducing agents can work more efficiently in controlling deposits of fat layers. Agents to reduce cholesterol - Seafood is rich in cholesterol-reducing agents, which is one of the major stroke causing reasons. Consumption of seafood ensures cholesterol reduction in veins. Regular intake of seafood is ideal for heart patients with high cholesterol accumulation. Make sure you make changes in your diet under medical supervision. High protein content - Needless to say, any kind of meat product is rich in protein and seafood in no different. Whether it's fish, clams, shellfish, shrimps or crabs, each one of them are good source of protein. It's ideal for patients and lactating women who need more protein intake to recover from illness and to provide more milk to their baby. Rich in omega-3 fatty acids - Seafood also contains a good amount of omega-3 fatty acids, which are known to keep your heart healthy by reducing the risk of cardiovascular disease significantly. They are also known to reduce the risk of certain type of cancers. It also keeps brain cells healthy and helps in fighting inflammation. Light and easy to digest - Unlike red meat, seafood is light and easy to digest. 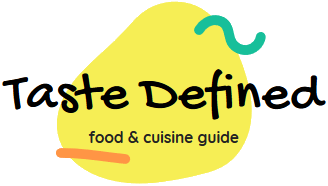 It also has many more varieties than red meat that leaves ample scope of experimentation through various cuisines. Since it is light on the stomach, every age group can consume it with ease without any worry of stomach problems. 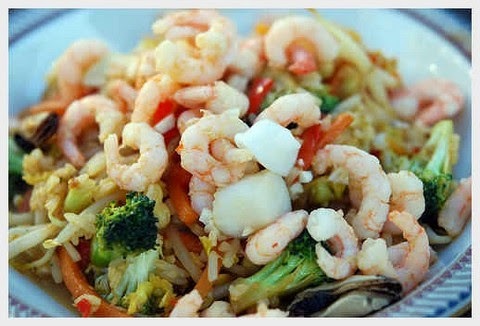 Shrimps and certain sea fish are extremely tasty and very easy to digest. Rich in anti-oxidants - If your immune system is strong, you can resist common problems like a cough and cold on daily basis. Seafood is a rich source of anti-oxidants that are well known to strengthen the immune system. People who regularly consume seafood are less susceptible to common health problems and lead a better life than heavy red meat consumers.